Although Campden was subject to rationing in WW11, along with everyone else nationwide, I never felt that we suffered much deprivation, apart from the absence of our young men and some young girls. Most residents had a rear garden for vegetables and allotments were available to anyone who so desired. 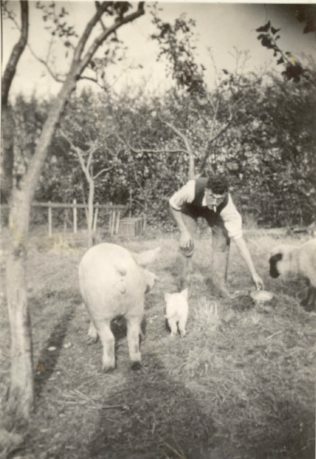 The large area now occupied by the School houses was covered by allotments and was known as The Piggeries, (for which they were originally used) and the Big Ground behind Haydon’s cherry orchard in Station Road was owned and run by the Oddfellows Benefit Club and was used as allotments. 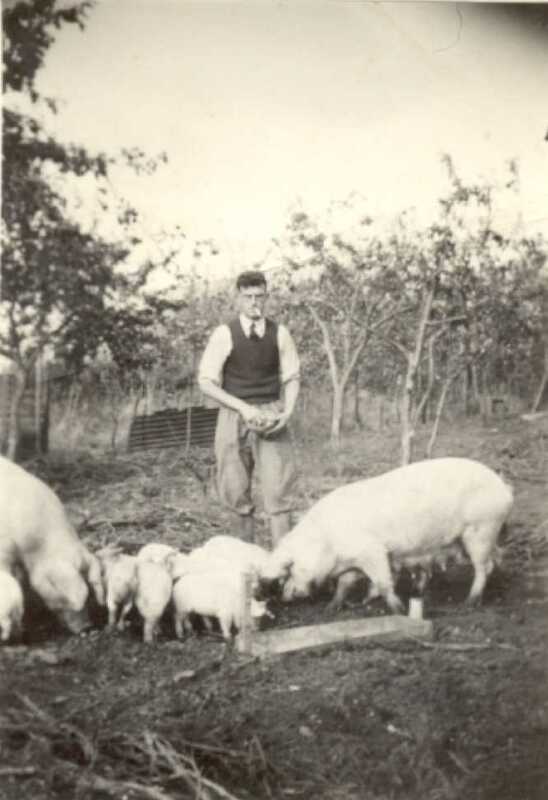 Quite a few cottagers had a pig sty at the end of their gardens and reared and killed a pig annually. At the beginning of the war, George Stowe, Snr. formed a Pig Club, operating from the Red Lion, and members could join for a small subscription, guaranteeing them a regular ration of pig food and permission for the killing of one pig a year – officially, that is – though what went on unofficially, in true country style, was nobody’s business!! Laurence and Charlie Ladbroke were much in demand as the local ‘pig butchers’ and could be relied upon to make it a memorable event for all the family with a good fire going in the yard to singe and dress the carcase and ending with a good feast for all and hams hanging from the larder beams for Christmas! !